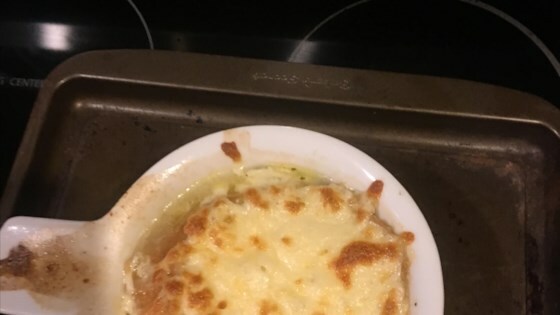 "An authentic and warming recipe for French onion soup, complete with slices of baguette and topped with cheese. Enjoy!" Do as the French do and remove the inner core of the onions before slicing. The French believe this makes the onion easier to digest. Substitute Comté cheese for the Gruyere if desired. I will make it again. It's easy, elegant and delicious.